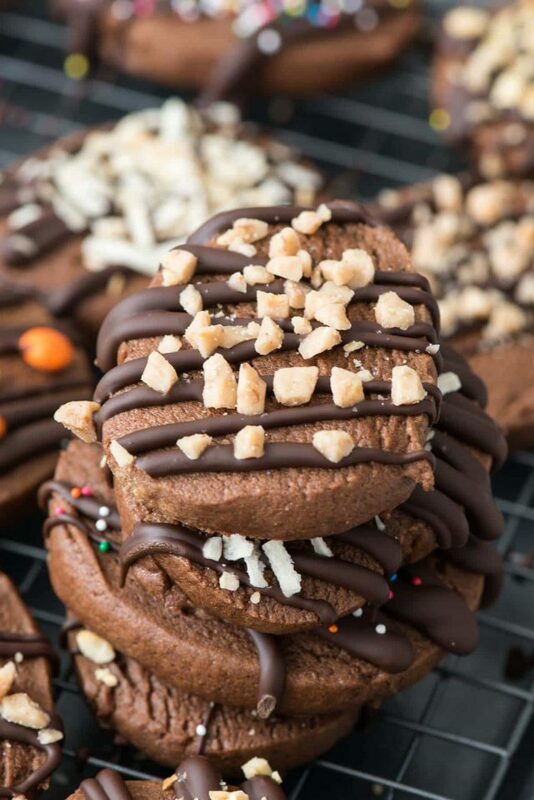 Slice and Bake Chocolate Peanut Butter Cookies – this easy slice and bake cookie recipe is full of chocolate and peanut butter! It’s an easy cookie recipe for holiday cookie platters – I know I’ll be including these on every single one. Plus, did I mention peanut butter and chocolate??? SO GOOD! I have decided to simplify my life this year for the holidays. Well, more than I have “decided” it’s more like I “must.” I’m kind of drowning with all the things lately: middle school, work, dog, teenager, husband’s job, travel, family…I’m still trying to find a new normal with all of it. I know that once I get my footing life will get back to manageable, I’m just finding that it’s harder this year to get to that point. As we get into the holiday post-Halloween season, I’m starting to stress about all the things I like to do during my favorite season of the year. Decorating, giving, baking, hosting…all of it just seems like a lot this year, hence the downsizing. I’ve already made a bit of progress: first, I’m accepting help for Thanksgiving. Normally I want to do it all, the turkey, all the sides, and dessert. This year my mother-in-law asked what she could bring and I actually assigned her two items. Seriously people, thats a major first. Then, I decided to not send Christmas cards this year. My husband doesn’t know about that one yet, but I’m going to save myself the time and effort and stress and just post a few photos on Facebook. Lastly, I’m going to streamline my baking. Every year I want to make tons of platters for all the people and I make tons of different kinds of cookies and candy. Partly, that’s because every item I make can be blogged, but also because I want everyone to have their favorites. My mom gets candy with nuts, Mel gets toffee, his mom gets fudge. This year is going to be different: I’m going to make one big batch of something and use that for everyone instead of making 10 smaller items. I just have to, for my sanity. That’s why I’m so excited to bring you this recipe today. These Slice and Bake Chocolate Peanut Butter Cookies are easy, fast, and the recipe makes enough for several cookie platters. 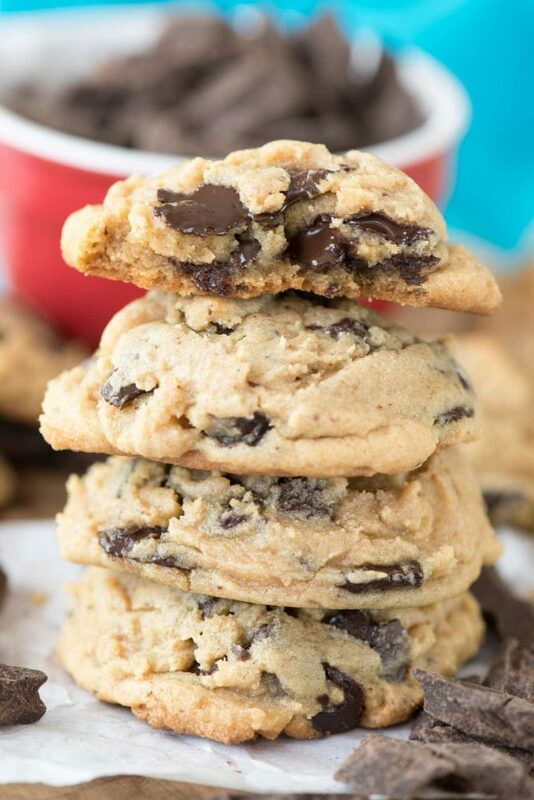 Plus…peanut butter and chocolate in one cookie! I always tend to forget about slice and bake cookies. I used to make them all the time when I was a kid but as an adult they’ve gone by the wayside in favor of things like pudding cookies or snickerdoodles. I forget that slice and bake cookies are just as good as a sugar cookie but so much easier! There’s no rolling, no flour, no cookie cutters to wash. All you have to do is make the dough, chill, slice, and bake! 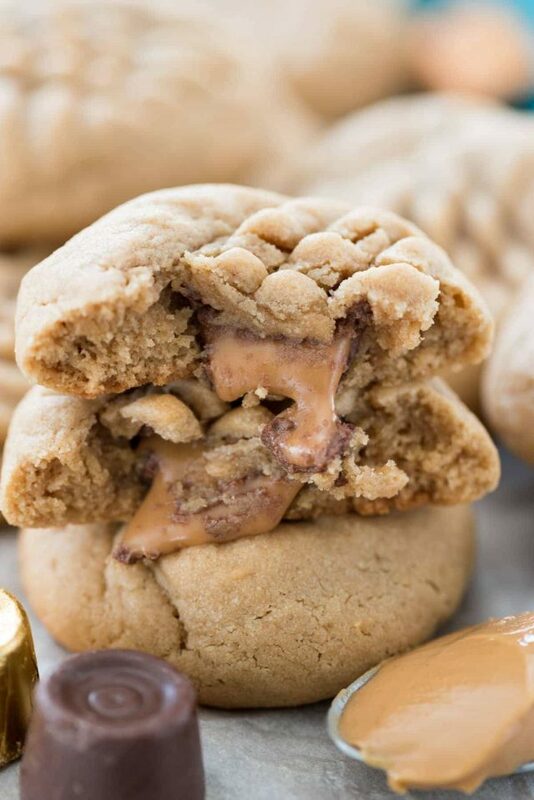 I love the combination of peanut butter and chocolate in a cookie. Your mind sees the cookie and thinks chocolate, but when they bite into one the realize it’s much more than that. It’s like a cookie surprise! This recipe has all the usual cookie suspects: butter and peanut butter, brown sugar and cocoa, flour and eggs. The brown sugar keeps them moist and soft, which is why I love using brown sugar in baking recipes. The butter, peanut butter, flour, and cocoa are self-explanatory. Then there are the eggs: 2 of them for this recipe. I often have people ask me why cookies need eggs, or if I can leave them out, or if you can use whites or yolks instead of a full egg. Eggs are a very important part of any baking process and they can’t be tinkered with lightly. Eggs not only contribute to a better texture in a cookie recipe, but they also lend to stabilization and flavor. The egg white adds the stabilization and stability, as well as moisture for the dough. The egg yolk contributes the fat, which increases richness, flavor, and tenderness. More eggs result in chewier cookies, less eggs yield a more crumbly cookie. This recipe has a 2 egg to one stick of butter ratio, so they’re extra soft and tender and rich. When you’re buying eggs, just like any other ingredient, better is best. The better the ingredient, the better your end product will be. I’ve been eating Eggland’s Best eggs for years (they’re my favorite brand for so many reasons) so when I got the chance to create a recipe for them, I jumped. 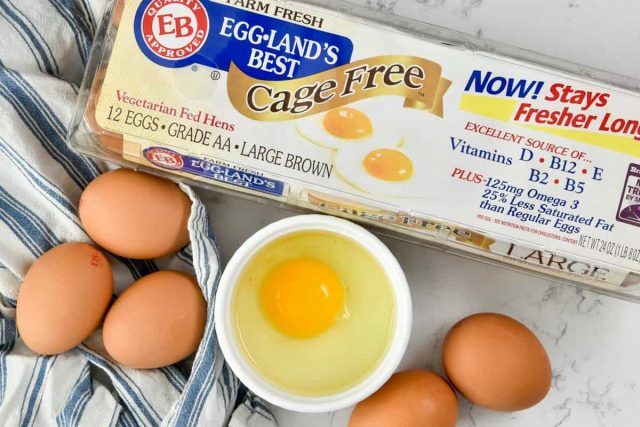 Eggland’s Best Best eggs are packed with nutritional benefits, like extra Vitamins D and E. They also have less saturated fat and stay fresher longer because they come from vegetarian-fed hens. I also usually opt for cage free eggs, because the chickens are free to roam. But honestly, all of the Eggland’s Best eggs are delicious and perfect in recipes. You can check out all the nutritional information and make your own choice but a fresh egg equals a fresh recipe, and an even better one at that. Did I mention peanut butter and chocolate??? The dough is quite soft so I like to divide it into two disks. Roll each one into a log and wrap in plastic wrap. The dough requires a long chill time: 4 hours or overnight. However, if you’re impatient like me you can freeze the dough for 1-2 hours and then bake. Once the cookies are baked – be sure not to over bake them – you can decorate them as you like. I like adding chopped peanuts or toffee bits, or even sprinkles. They’d be pretty dressed up for Christmas! This recipe makes about 4 dozen cookies so they’re the perfect recipe for giving. 1. Room temperature eggs work best for baking because the coldness of the eggs can re-harden the fat creating lumps in batters like cheesecake or cakes. 2. If you forget to leave your eggs out to come to room temperature, place them in a bowl of warm water for 10-15 minutes to expedite the process. 3. Make sure you’re using the correct size egg the recipe calls for. The standard egg size for baking is a large egg, so double check what you buy. Different egg sizes can make a difference in your end result. 4. When making cakes or cheesecakes, it’s best to add the eggs one at a time and don’t over beat them. Over beating causes the batter to loose moistness. Slice and Bake Chocolate Peanut Butter Cookies - this easy slice and bake cookie recipe is full of chocolate and peanut butter! It's an easy cookie recipe for holiday plates! Note: this dough requires chilling. Mix brown sugar, butter, and peanut butter in a large bowl with a hand mixer until creamy (about 2 minutes). Add eggs and vanilla, continue beating until mixed. Add flour, cocoa, and baking powder and beat on low speed until well mixed. Preheat oven to 350°F. Line two cookie sheet with parchment paper or a silicone baking mat. Working with one dough log at a time, cut slices 1/4” thick and place 2” apart on baking sheet. Bake for 8-10 minutes, or just until they loose their glossy sheen. Cool on cookie sheets 10 minutes then remove to a rack to cool completely. Once cookies are cool, place chocolate chips and oil or shortening in a microwave safe bowl. Heat on 50% power for about 2-3 minutes, stirring every 30 seconds, or until chocolate is melted and smooth. You can dip each cookie in the chocolate then dip in the toppings. Or, for a more decorative approach, place the melted chocolate in a sandwich bag and cut off one tip. 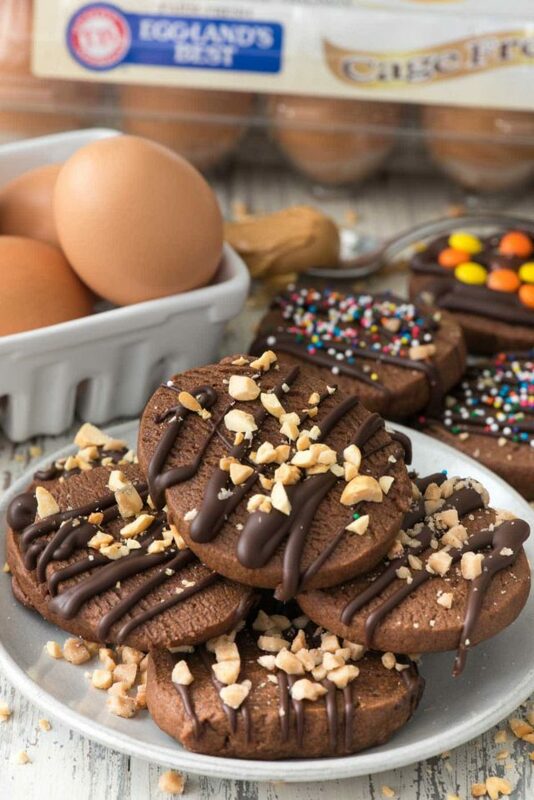 Drizzle chocolate over cookies and sprinkle with toppings. Click here to see more of my Christmas cookie recipes! This post is sponsored by Eggland’s Best. All opinions are 100% my own. 2 eggs, butter, and PB…yes this is going to be a soft cookie! Love it! Slice and bakes are something I rarely do but seeing these, I need to get on it! Good for you for wanting to streamline your holiday baking/cookie giving process! I wouldn’t mind a big platter of these cookies!! Yum…. 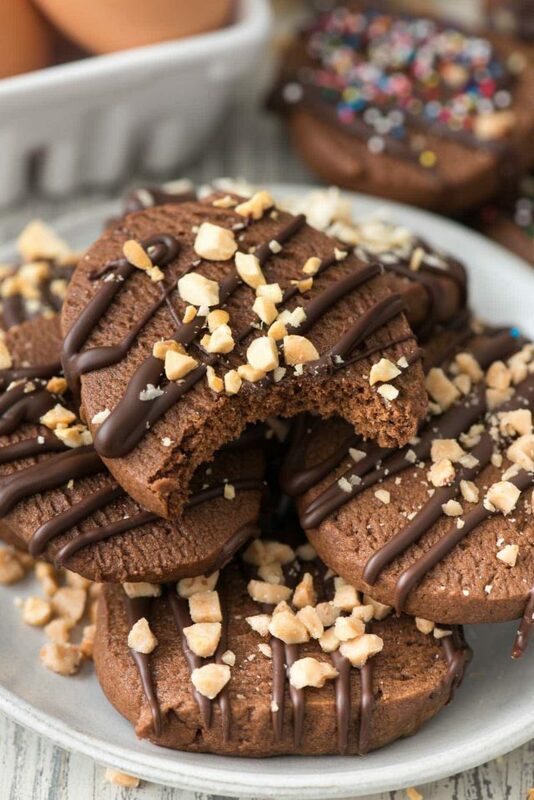 These cookies look amazing and I love how you topped them. 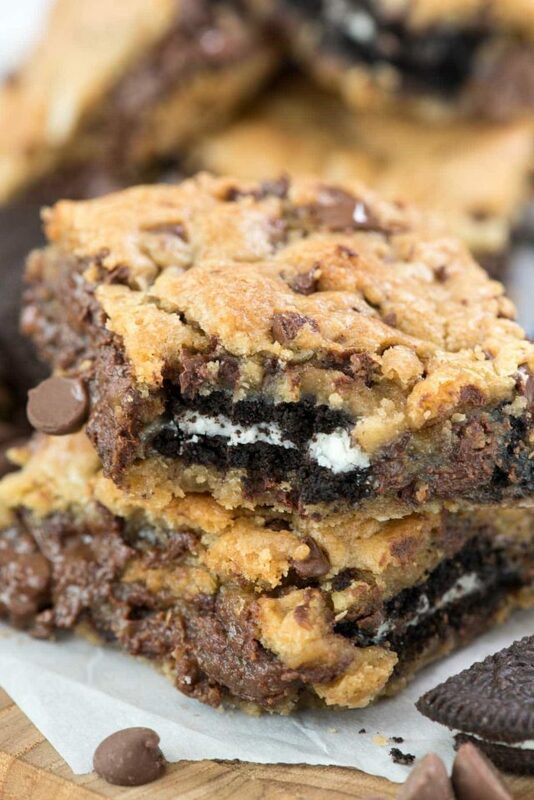 I look forward to making these as a cookie for my trays. You are so right, chocolate and peanut butter. How can that be wrong? We all deserve something yummy and not be so labor intensive. Thank you. P.S. Your Abby is so adorable and looks so very cuddly. Happy Thanksgiving. As someone who raises chickens for our own eggs, hens are omnivores and need to be fed/have access to protein like insects. A vegetarian diet does not cut it. The cage free part is nice though. hey girl- these cookies look so yummy! Yum yum! Love these cookies! I lovelovelove that these are slice and bake-but so much better than any slice and bake cookie I’ve ever seen before! Absolutely PERFECT for the holidays!